With Waukesha West’s Jarred Kelenic making waves as the highest draft pick in Wisconsin history (he was taken in the first round, No. 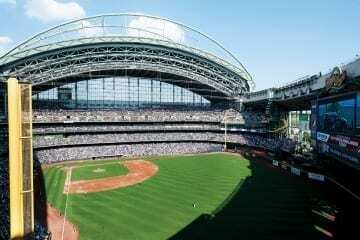 6 overall, by the New York Mets in June’s MLB draft), we thought it was the perfect time to take a deep dive into Wisconsin’s 150-year history of major league triumphs. Detroit Tigers (1952-59); Cleveland Indians (1960); San Francisco Giants (1961-65); Chicago Cubs (1965-66); Philadelphia Phillies (1966). Kuenn’s career is stuffed with accomplishments and achievements, but it’s what he did after on-the-field retirement that makes him a Wisconsin legend: managing the 1982 Brewers to their first, and only, World Series appearance. Around here, that overshadows what had been a stellar career as a player, complete with a batting average of .303 after 19 years and leading the AL in single-season runs created (once), outs made (twice), doubles (thrice), and hits (four times). Philadelphia Athletics (1924-32); Chicago White Sox (1933-35); Detroit Tigers (1936); Washington Senators (1937-38); Boston Bees (1939); Cincinnati Reds (1939); Philadelphia Athletics (1940-41); Boston Red Sox (1943); Philadelphia Athletics (1944). Nearly a century since he first entered the league, Simmons remains etched in history as the only cheesehead ever to be inducted into the Hall of Fame by the Baseball Writers Association of America. Simmons passed away in the summer of 1956, though the 20-year veteran had already been granted immortality by way of Cooperstown just three years earlier. New York Yankees (1992-96); Milwaukee Brewers (1996-2000); Cleveland Indians (2000-06); Atlanta Braves (2006-07); Arizona Diamondbacks (2007). Wickman’s wicked signature sinker has an origin story equally Wisconsonian as his memorable beer-belly: a childhood farming accident ate a portion off his index finger on his throwing hand, altering the release point and rotation for the career closer’s killing pitch. His end-of-the-century stint in Milwaukee also marked a career best, coinciding with his very first All-Star appearance in 2000. He finished his career with 267 saves, which today is still good for 33rd on the all-time list. Washington Nationals (2009-2015); Detroit Tigers (2016-present). A two-year All-Star stretch across the 2013 and 2014 seasons saw Zimmermann amass a combined 33-14 record with a 2.96 ERA while competing for Cy Youngs with modern titans such as Clayton Kershaw, Madison Bumgarner and Johnny Cueto – solidifying himself as perhaps the greatest career starting pitcher Wisconsin has ever produced. After a sticky 2017 campaign, Zimmermann bounced back as one of the lone bright spots in an otherwise forgettable Tigers season and is currently undefeated in 10 starts. He’s also the owner of an ultra-rare “immaculate inning” (striking out all three batters on the minimum-possible nine pitches). Louisville Colonels (1887-88); Philadelphia Athletics (1889-1892); Philadelphia Phillies (1892-1897); St. Louis Browns (1898); Cleveland Spiders (1899); St. Louis Perfectos (1899); St. Louis Cardinals (1900); Brooklyn Superbas (1900); Philadelphia Athletics (1901-05); Washington Senators (1906-07). Notable accomplishments: Longest pro career in Wisconsin history (21 seasons); Played during both of the Chester A. Arthur presidencies. We don’t know who or what sunk the USS Maine to spark the Spanish-American War, but we do know that just four years earlier Milwaukee native Lave Cross was turning in an absurd 1894 season for the Phillies, nabbing 132 RBIs with .387/.424/.526 batting splits (thank goodness for baseball nerds on the internet). Nearly 150 years since his pro career began, Cross still holds the sixth all-time best At Bat per Strikeout rate. This was all during an era in which – one can only assume – balls were made of rounded pig leather and bats were carved from the ribcages of humpback whales hunted down off the coast of Industrial Revolution-era New England.